Here, I discuss the technological advancement of memorial practice, including placing QR (Quick Response) codes on gravestones to be scanned by smartphones. In light of this, we can question the impact of creating memorial attachments to changeable objects and spaces. On the 14th September 2012, Kayte Rath, political reporter for BBC News responded to details released from HMP Service of which television channels prisoners are allowed to watch in their cells. The piece comments on the distinction between the permitted channels for men, and those for women. Previously, Sky Sports News was a prison-ratings-puller, but was dropped from the approved list when it became a subscription channel. 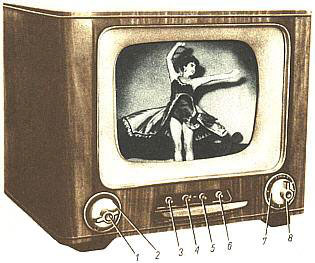 BBC1, BBC2, ITV1, Channel 4, Channel 5, ITV3, VIVA – a music channel – and Film4 were given to both men and women. Aside from the contentious decision surrounding the ‘right to watch’, this issue has raised something I find far more interesting – what is being watched. When asked their preferences, Male prisoners preferred to access Sky Sports News, whereas women opted for E4 for the soaps, comedy, etc. However, although Sky Sports News has been removed, women can still watch entertainment channel E4. The decision to make channels available is an operational matter for the companies running the prisons, but for me this provides an interesting scope to critique the view that these channels provide about the ‘outside’ world. Generating a spectacle from representations of prison is common practice within contemporary media. Reiner highlights that the prevalence for crime-related television is now estimated to make up 25% of the most popular British television programming (2002, 312). Thus, Wilson and O’Sullivan argue that television and film representations are “an important source of people’s implicit and common sense understandings of prison” (2004, 8) and in the same way have acted as the voice of the prison itself. Similarly then, it is interesting to question how television, carefully selected for prisoners, might influence their common sense understandings of liberal society. Looking to E4, with its schedule filled with the likes of Made in Chelsea, 90210 and Skins, exposure to entertainment ‘fantasy’ over the realities of sporting news may give a somewhat warped impression of ‘outside’ . It may be that I am overestimating the impact that such programmes have, but it seems to me that there is some mileage in further investigating this issue. Reiner, R 2002. Media Made Criminality: the Representation of Crime in the Mass Media. in Maguire, M, Morgan, R & Reiner, Reds The Oxford Handbook of Criminology. 4th Edition ed. Oxford University Press, Oxford. Wilson, D & O’Sullivan, S 2004. Images of incarceration representations of prison in film and television drama. Waterside Press, Winchester, U.K.